CANTON, Mass. – What a difference a year makes. 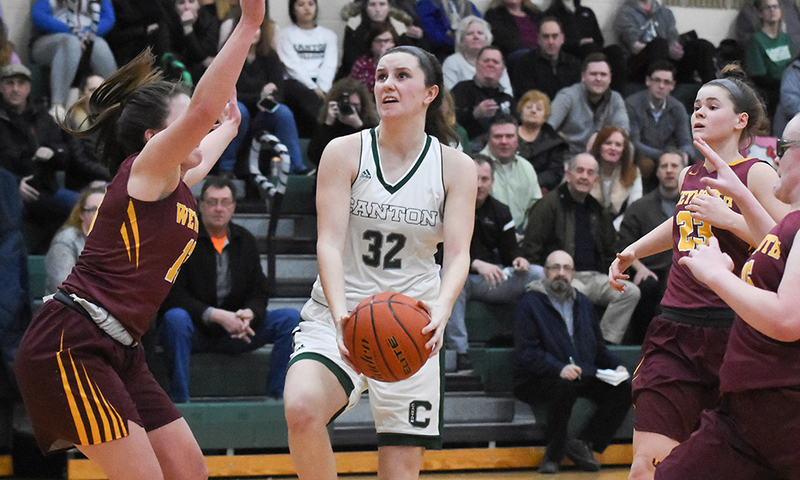 Last season, Canton needed a dramatic, overtime win against Weymouth in the regular season finale to end a seven-year state tournament drought. One day short of a full year later and the Bulldogs welcomed the Wildcats for this year’s regular season finale in second place in the Davenport division and several weeks after securing a much quicker return to the state tournament. The Wildcats would make Tuesday night’s game interesting, cutting the Canton lead down from as many as 16 in the second half to just three points in the fourth quarter, but the Bulldogs closed on a 9-3 run to earn the 57-48 victory. It was the 14th win of the season for Canton, which is the program’s highest win total in at least 23 years. Canton also celebrated senior night on Tuesday and, as Choquette is quick to point out, the graduating class has made great strides over the past four years. As freshmen, the current seniors went 6-14. They have now flipped that record completely, made back-to-back playoff appearances, and are the program’s winningest class in two decades. On senior night, Nicole Galvin, who has been injured this season, was able to take the floor for the opening tip. Her classmates then took over to put Canton in front early. With Weymouth ahead 10-7, senior Molly Ludwig drove to the basket for a layup to cut the lead to one. On the following possession, senior Maggie Connolly (four assists) kicked it out to Hamilton for the first of her two threes in the first quarter. That put the Bulldogs up 12-10 and they wouldn’t trail again. 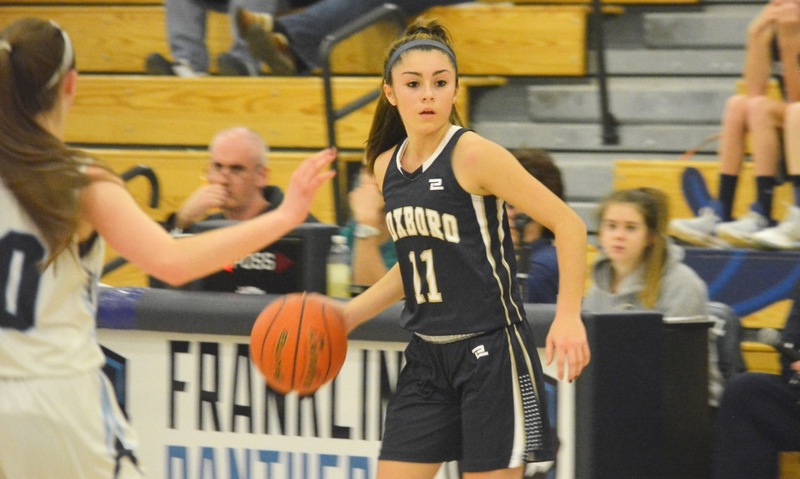 Freshman Kiara Cerruti (team-high 14 points) scored on a drive to the basket and senior Erin Devine (eight points and five rebounds) followed with a basket off one of Hamilton’s six assists. Hamilton then nailed her second triple to make it 19-14 and Ludwig closed the quarter with her second basket for a six-point lead, 21-15. Fay Gallery scored to start the second quarter, extending the lead to eight, but the Wildcats rallied with seven straight points to get back within one. Canton closed the half on a 9-0 run to take back control. Devine started the run with a layup off a Sydney Gallery (eight points) pass and then Fay Gallery got free in transition for a layup. Cerruti nailed a three and Sydney Gallery got an open look off an inbounds play to push the Canton lead to double digits at the break. The second half started like the first, with Canton in control. Connolly and Lilah Milton got baskets to start the third and a Sydney Gallery steal and layup pushed the lead to 40-24, but Weymouth bounced back with an 8-0 run to end the quarter. The run extended to 11-0 thanks to a Kerin McCarthy three-point play to start the fourth, but Sydney Gallery answered with an offensive rebound and score. After a Weymouth basket, Connolly got free in transition and Kayla Albert knocked down a jumper on an inbounds play. Weymouth again got the lead to just three points at 48-45, but Fay Gallery responded with a drive down the lane for two and then a three off a Hamilton drive and dish. A pair of free throws by Cerruti and a layup for Sydney Gallery clinched the win in the final minute. Canton (14-6, 11-5) will be in the top half of the Div. 2 bracket and will find out its seed on Friday.